Every year, millions of monarch butterflies migrate to Mexico. There is a wonderful legend in that country explaining their journey. Because the butterflies always arrive close to the Mexican holiday known as The Day of the Dead, it's believed the monarchs carry the spirits of loved ones with them to visit. Souls of the recently departed are then carried away when the butterflies fly north again. 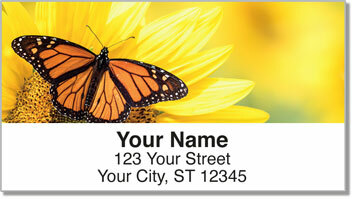 Monarch Butterfly Address Labels from CheckAdvantage can be a reminder that those we've lost are still watching over us. 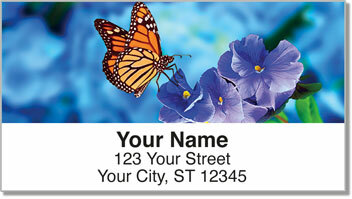 Send the beauty of the butterfly out with every letter and package you mail when you choose these convenient labels. 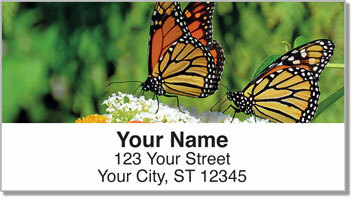 Get your own Monarch Butterfly Address Labels now! 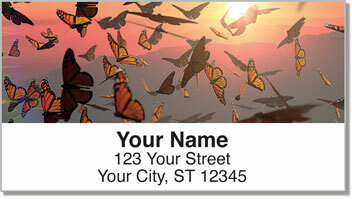 You can also order this design as a set of nature-themed personal checks.